Learn how to get the most out of the Materialise Mimics and 3-matic software to visualize and segment medical images, and render 3D models. 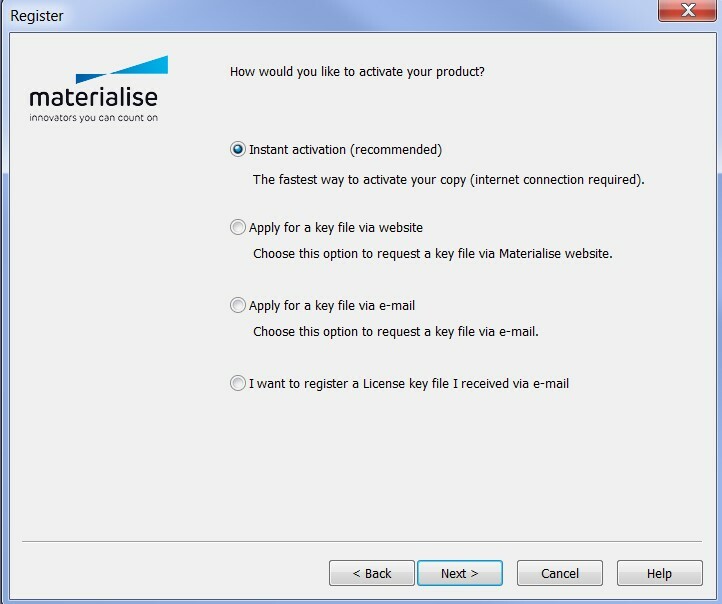 At Materialise, we’re always there from start to finish: learn how to set up the medical software, explore the tutorials we’ve created to boost your project, or get inspired by webinars hosted by leading experts. Last but not least, keep an eye out for trainings: these hands-on events are the perfect opportunity to sharpen your skill set. Learn how leading experts are using the Materialise Mimics Innovation Suite, making a leap into the future of Engineering on Anatomy. During these in-depth, hands-on courses, Materialise experts will take you through all of the capabilities of the software step-by-step. 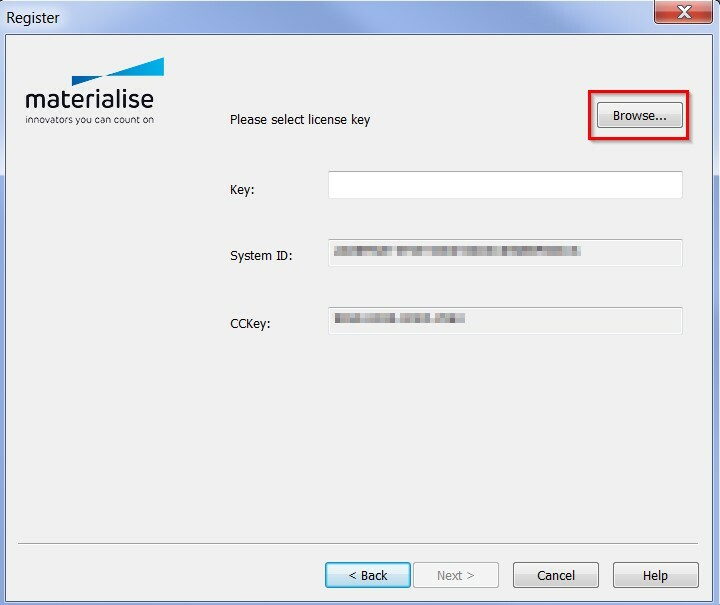 Upgrade now to Materialise Mimics 21.0! 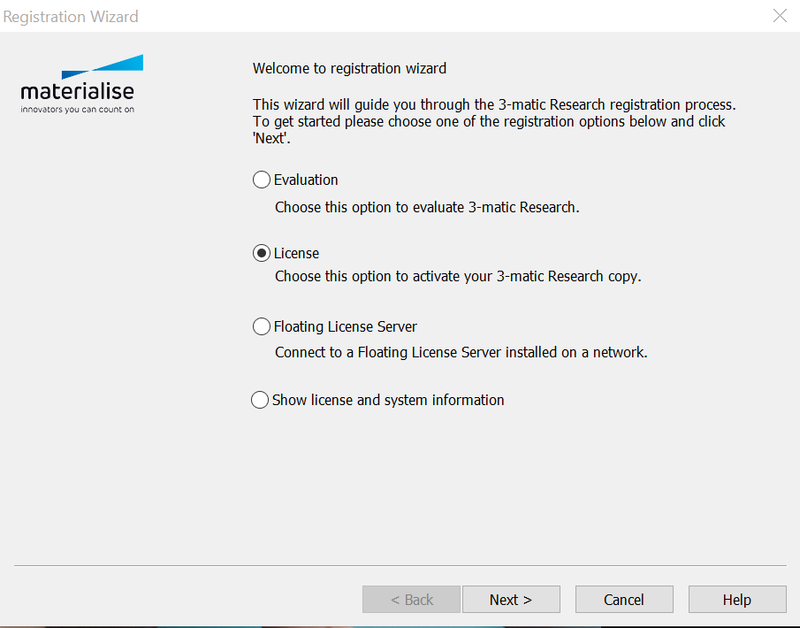 Discover the fastest way to activate your Materialise Mimics 21.0 license. Does the Mimics Innovation Suite run on a Linux platform? Yes! It does. Mimics is a Windows-based software program which should run within an emulator on a Linux plattform. Mimics and 3-matic have been used without any problem and with negligible performance loss in a combination between Fedora* and the virtual box as an Emulator. The exact version of Fedora: Linux r2.6.22.14-72 (Fedora 6) with the virtual box version:""virualbox_1.6.0_30421_fedora7_1 (it is the box of Fedora 7 installed on Fedora 6). You just need to start the virtual box and install/start your Mimics License. *Fedora is a Linux-based operating system that showcases the latest in free and open source software. Does the Mimics Innovation Suite run on a MAC? No, unfortunately it doesn't. You can run Windows virtually on your MAC to use the Mimics Innovation Suite. Note that the software might not run optimally this way. What are the Recommended System Requirements for Mimics? 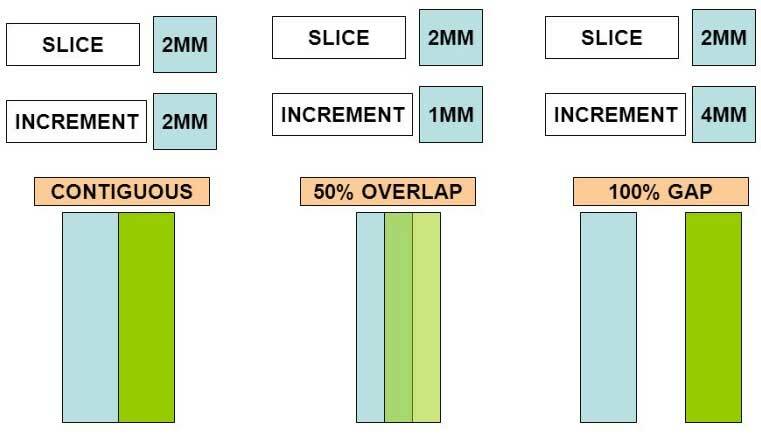 What is the difference between slice thickness and slice increment? Slice thickness and slice increment are central concepts that surround CT/MRI imaging. Slice thickness refers to the (often axial) resolution of the scan (2 mm in the illustration). Slice Increment refers to the movement of the table/scanner for scanning the next slice (varying from 1 mm to 4 mm in the illustration). It is acceptable and common to have an overlap in these values. The slice thickness is an important factor in understanding the resolution of your images. If the scan has a slice increment greater than the slice thickness, there is no information about the skipped section, so anatomical information or objects might not show up on the scan. Click on "Image" > "Organize Images", and you will see listed the slice increment of each slice (0.625 mm in the example shown here). The slice increment is important as Mimics uses this for calibrating the project to ensure all measurements are correctly performed. Slice thickness is displayed in Project Information as copied from the DICOM Headers. Both slice thickness and slice increment play a role in performing a 3D (Gray Value) interpolation in Calculate 3D. What is the difference between a pixel and a voxel? The reconstructed output from a scanner (CT/MR) is a stack of images. These images consist of pixels. Every pixel has certain dimensions (XY, where mostly X=Y) and a certain gray value that is related to the material it represents. The images are a certain distance apart (Z). This distance gives the pixels a certain depth; a VOlume piXEL is called a voxel. It has XYZ dimensions. Why do I see pixels when I zoom in? 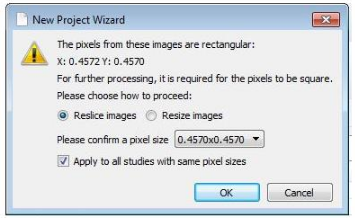 Pixels are the result of the scan resolution. To avoid it, you can choose to see Interpolated Images in the “View” menu. This will interpolate the pixels and result in a slightly blurred image. Changing it does not affect 3D accuracy. Can I use this software for teaching? The Mimics Innovation Suite can be a powerful aid in teaching. If you want to teach your students using our software, we have a student edition available, which has limited import functionalities. Please contact your local account manager for more information. What is the added value of software maintenance? You have access to Application Engineers that can support you with technical issues you encounter in the software and guide you in new projects towards an optimal software configuration. 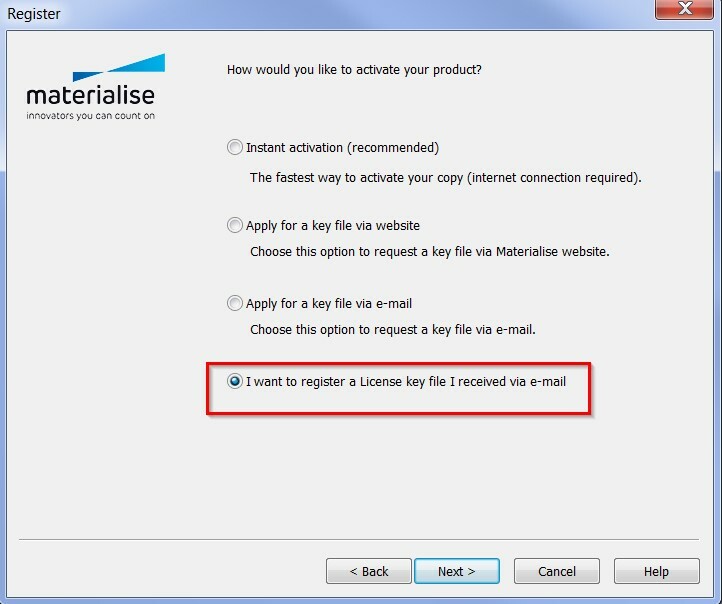 They can also advise you regarding your workflows with Materialise software. You have acces to Sales Assistants that can help you with your software activation and possible licensing issues. You will receive assistance with System ID transfers and software upgrades without additional fees. In Mimics you can find the "Preferences" under the "Edit" menu. In 3-matic they can be found under the "Options" menu. How can I change the Autosave Frequency for recovery files in Mimics and 3-matic? In Mimics, go to the "Preferences" under the "Edit" menu. Under the "General" tab, you can set the Autosave Frequency under "Performance". In 3-matic, go to the "Preferences" under the "Options" menu. Under the "General" tab, you can set the Interval of the Recovery file. What is the Project Management tab? And how can I enable it? The "Project Management" tab in Mimics is the bar on the right side of the screen that contains lists of all the operations done on the dataset; it lists your masks, measurements, parts, STLs, etc. You can toggle its visibility by clicking “View”, “Project Management”, and then “Project Management Tabs”. If you want to restore the layout to default, click on “View”, “Project Management”, and then “Reset Project Management Layout”. Can I change the background color of my 3D view? Yes, in Mimics, go to the Preferences under the Edit menu. In the 3D Setting tab, change the 3D background color under Visualization and Navigation. You can also change your background color in 3-matic. To do so, go to the Preferences under the Options menu. In the tabs, select Viewport under Visualization and then set the Background color according to your preference. What do the numbers in the axial view mean? 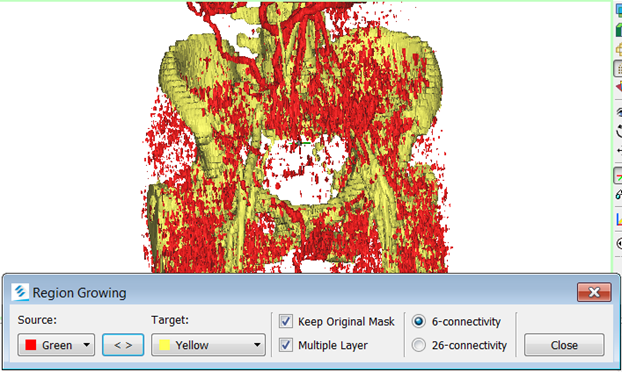 The bottom-left number in the axial view is the slice position according to the patient coordinate system (this information is read from the DICOM header upon import). The bottom-right number in all views is the slice position in Mimics. It starts at 0.00 and increases with the slice distance. The slice distance in the sagittal and coronal views corresponds to the pixel size since these views are reconstructed by Mimics from the original axial data. The slice distance of the axial images can be checked under "File" > "Organize Images". My part rotates out of view in the 3D window, why is that? When rotating a part in the 3D view, Mimics rotates around the virtual center of all visible parts. Here the coordinate system also counts as a visible part. Furthermore, a part can be outside of your view but still be 'visible'. To rotate around just your part, make all other 3D parts invisible and turn off the coordinate system. How can I edit my mask in 3D? The tool "Edit masks" allows you to edit your mask directly in the 3D view. To do so, you need to have “Toggle mask 3D preview” turned on. This generates a 3D preview of your segmentation mask that you can work on (fourth button from the top next to the 3D viewport. Note that in Mimics 18 and earlier versions, to edit masks in 3D, you have to use the “Edit masks in 3D” function in the “Segment” menu. You can find scanning protocols for the most used applications via this link. DICOM is a file format widely used in clinical settings where images can be shared, and includes 'DICOM tags' which are essentially a header file containing information about that particular image. DICOM is the abbreviation for Digital Imaging Communications in Medicine. Can I import Ultrasound data? Importing Ultrasound data is possible in the Research version of Mimics. Here you can find more information on how to export DICOM data from your Utrasound machine for GE and Philips. What is CT/MR/Cut Air/Lossless compression? These compressions are a form of noise reduction, they work as follows. Medical CT scanners work with the Hounsfield scale. See the item about Hounsfield Units for more information. Since there is no tissue type that generates gray values from -1024 HU to -824 HU (first 200 values), the values in this range are typically just noise. CT compression then sets these values to -1024 HU. Note that technical CT scans might contain materials within this range, so for these types of scans, this CT compression should not be used. In that case, choose Lossless. For MR there is no defined standardized scale like the Hounsfield scale for CT. Typically the noise is present in the first 10 values. MR compression sets these values to 0. For non-calibrated CT scans such as Cone Beam CT and µCT, this compression sets all the gray values corresponding to the first peak in the 3D histogram to zero. This first peak typically consists of air and noise. How do I export my .mphtxt file into Comsol? The .mphtxt file that is generated for the export to Comsol needs to be imported in Comsol as a mesh, not as a geometry. In the "Model Builder" tree, right click on "Mesh1" and choose "Import". Here you can select the .mphtxt file that Mimics exported. Click "Import" to complete. 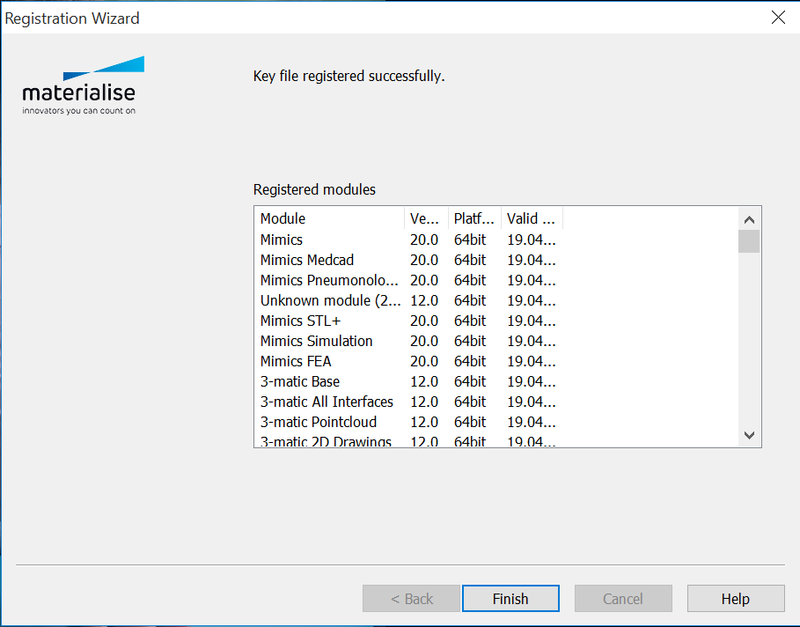 You can find more information on importing a mesh into Comsol in the section "Exporting a file to COMSOL Multiphysics" of the the 3-matic tutorial. What are Hounsfield Units (HU)? -1024 HU is black and represents air (in the lungs). 0 HU represents water (since we consist mostly out of water, there is a large peak here). 3071 HU is white and represents the densest tissue in a human body, tooth enamel. All other tissues are somewhere within this scale; fat is around -100 HU, muscle around 100 HU and bone spans from 200 HU (trabecular/spongeous bone) to about 2000 HU (cortical bone). Metal implants typically have very high Hounsfield units. Therefore, they are attributed the maximum value in typical 12-bit CT scans (3071). How do I change from Hounsfield Units to Gray Values and back? You can switch between Hounsfield Units (HU) and Gray Values (GV) in the Preferences. Go to "Options" > "Preferences" > General; here you can change the Pixel Unit. Selecting Hounsfield will use a scale of -1024 to 3071. Selecting Grayvalues will use a scale of 0 to 4096. Both scales are based on 4096 =12 bit values (212). Why are there no predefined thresholds for MR images? MRI does not work with a fixed grayscale range like CT. Medical CT images typically consist of 8-bit (4096 values) Hounsfield Units (HU), which is a predefined scale for gray values of tissues in a human body (see the item about Hounsfield Units). MR images can be 8-bit or 16-bit and the range of gray values depends on the MR machine (field strength, gradient, coil,...) and its settings (SE1, SE2,...). Therefore, every MR dataset has a different scale and we cannot provide predefined thresholds. How do I get rid of the noise in my mask? Use "Region Growing" to select connecting pixels only, and by selecting your region of interest this way. How can I register different image sequences? On level of the images, you can use the Image Registration tool in Mimics (Image menu). For this to work, both projects need to have the same units (mm, um, etc). You can also use the various registration options in the Align menu to register a part onto the scan, onto a mask, or onto placed landmark points. How to avoid the pop-up dialog "The mask exists out of multiple parts. Continue?" Your mask consists out of multiple unconnected parts. Use Region Growing (Ctrl + R) to select one region of interest before calculating a Part. Why do I get the notification "Can't interpolate slices"? This error usually pops up in the "Multiple Slice Edit" tool when you have edited in two neighboring slices. The algorithm needs at least one empty slice between two edited slices in order to interpolate. What should I do when my image has rectangular pixels? You can use the “Reslice Project” tool in the “Image” menu. If you choose to reslice the images, the anatomical proportions will be preserved, but the dimensions and grey values of the dataset will be recalculated and interpolated. 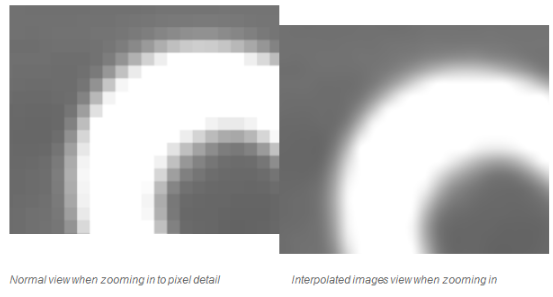 The quadratic interpolation will have a small blurring effect on the images. What quality setting should I use to generate my 3D model? The 'optimal' quality setting will result in the most accurate model possible. It will also apply some optimization techniques - triangle reduction and smoothing. 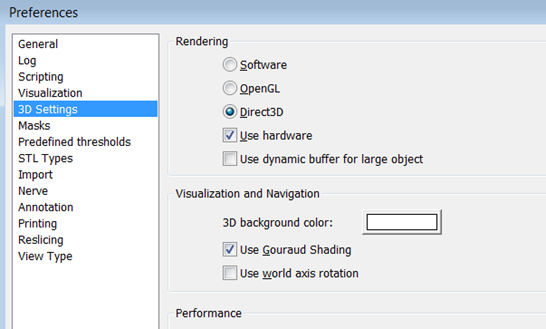 Whenever you create a 3D model you can adjust these settings by clicking "Options" in the "Calculate 3D" window. However, calculating a complex 3D part in optimal quality can take some time, so in some cases you would only want to use this setting on your final 3D model. If you just want to have a quick view of the 3D model, you could use lower quality settings so it will calculate faster. Where is the smoothing and reduce function in 3-matic? The smoothing and reducing functions are available under the "Fix" menu in 3-matic. Mimics also offers you the ability to perform smoothing and triangle reduction of your STL. In Mimics, the smoothing and reducing functions are located in the "3D Tools" menu. Where is the wrapping function in my remeshing tab in 3-matic? In 3-matic, the wrapping tool is available under the 'Fix' menu or the 'Design' menu, if you have access to the Design module. How do I save my remeshed part? After remeshing your part in the 3-matic FEA module, copy (Ctrl + C) your remeshed part, and paste (Ctrl + V) it in your Mimics project. The remeshed part will be added to the Parts. When you copy a volume mesh and paste it in your Mimics project, it will be added as an FEA mesh. 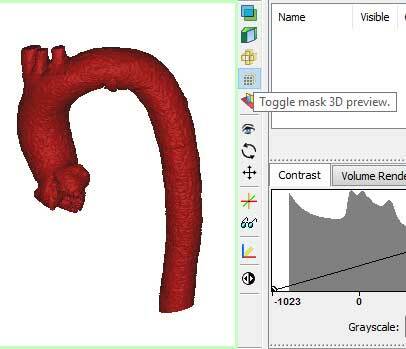 In Mimics you can then do a material assignment to the volume mesh based on the grey values of the DICOM images. There are different export formats available in both, Mimics and 3-matic, to export your remeshed part, volume mesh and assigned material properties for your solver software: Ansys, Abaqus, Nastran, Comsol, Fluent, Patran. How can I change the refinement of my mesh? Once you have your 3D object created you can optimize the mesh in 3-matic. A tool available to all users of the Base module is 'Improve mesh' in the 'Fix' menu. For more advanced mesh operations the FEA module is required. With the Remesh menu of the FEA module you can apply a 'Uniform Remesh' or 'Adaptive Remesh' to your STL. The latter is specifically intended to improve the mesh of anatomical structures in medical applications. Which languages are supported by the Scripting module in Mimics? The Scripting module makes use of Python. Where can I find out more about Scripting in Mimics? You can read more about Scripting in Mimics on this page.